Some folks get the idea that travel is fun (which it is) and therefore business travel must be more fun because someone else is paying for it. It isn’t. Following is my journey from Macksville to Jakarta. 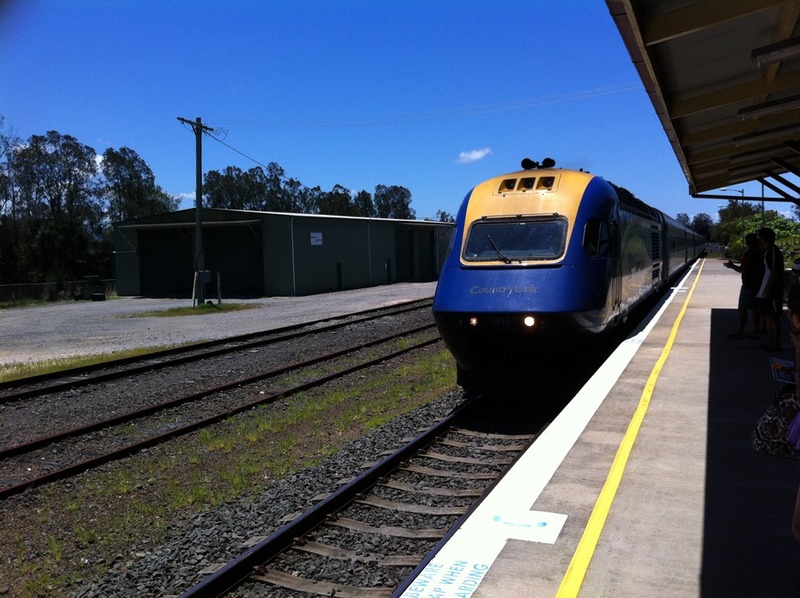 It started with the XPT train journey from Macksville Station. Temperature was about 30 degrees and a bright sunny day. The train left Macksville on time at 1:30pm and headed south at a stately pace. We stopped at a number of stations on the way to Sydney, including Kempsey, Wauchope, Gloucester and such. By the time we got to Maitland we were running about 5 minutes early so got to sit around there for five minutes longer than necessary. We passed long coal trains (80 coal wagons) and some pretty countryside but the worst part of the journey was the child screaming all the way to Sydney. We arrived at Central Station in Sydney at 9:06pm on time. A taxi to Jeff’s where I spent the night. A taxi was booked for 7:15 the following morning to take me to the airport. Sylvester Stallone: "I heard you were bitten by a cobra". Chuck Norris: "I was but after five days of agonising pain the cobra died". From the in-flight movie, the Expendables 2. Tuesday was flight day – up at 5:45am to the sound of Frodo throwing up on Jeffrey’s carpet. Back to sleep and up at 6:30 for a shower and a taxi to the airport at 7:15. Having a bite at the airport the amusing sight of the day was the bloke who spills a full cup of coffee over the table and his wife. A quick clean off of her skirt and she’s off to the toilet to clean up. His next move, remorselessly, is to pick up the coffee cup and drain what is left before worrying about any sort of clean-up to the table and surrounds. Aircraft boarding call is made and we board. Disconnect from the air-bridge and commence taxiing on time. We then sit on the taxiway for about 30 minutes, plane in front of us and six more queued behind us. We eventually get to the runway and are airborne. 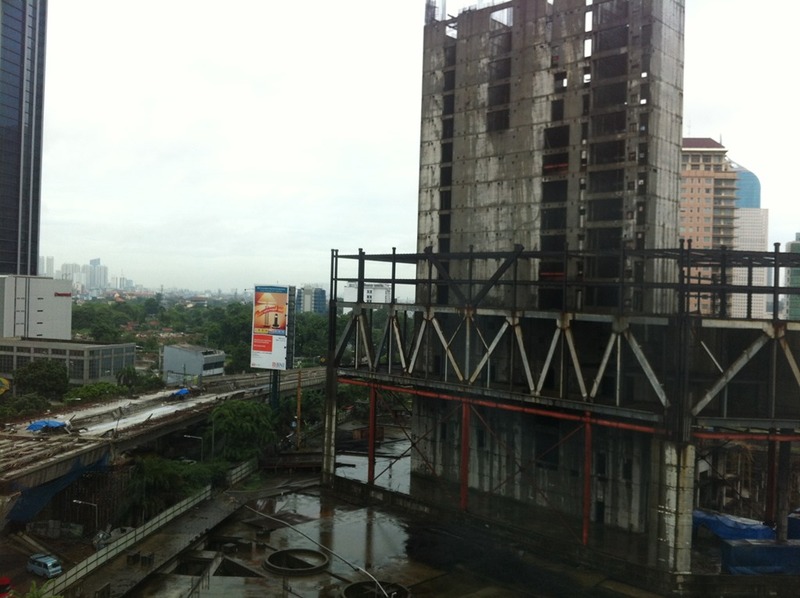 By the time we are half way to Denpasar, the Expendables 2 movie is almost finished. We have also had an almost continuous stream of turbulence and altering of course and height to try and avoid the turbulence. Seems the great heat of Australia on Tuesday is also affecting the weather 10,000 metres above ground level. 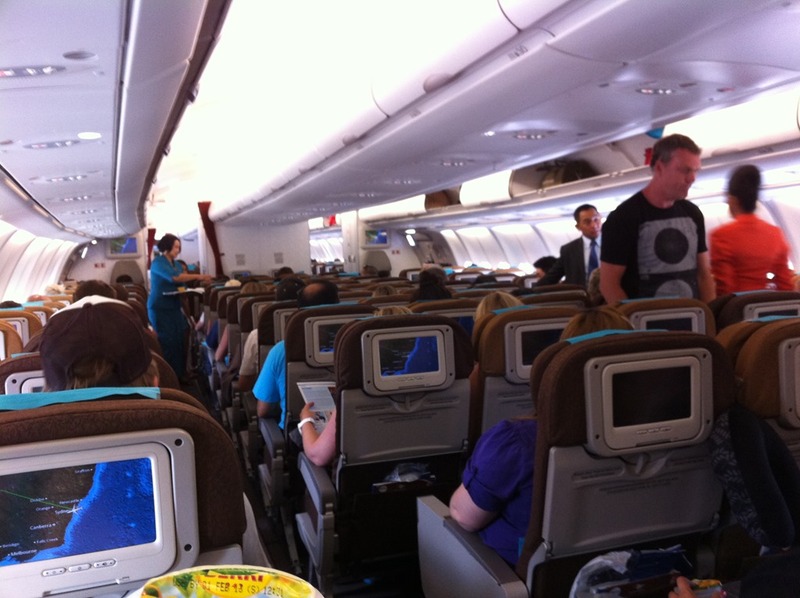 The big plus on this Garuda flight is the in-flight immigration. Brilliant! We arrived at Denpasar, collected bags, passed customs, handed the bags to the transfer desk then walked to the domestic terminal. Denpasar domestic terminal is being rebuilt so inside it the temperature is thirty something degrees, there’s no WiFi, no air-conditioning, lots of building works, sweat is dripping from my fingers and my new Popeye t-shirt is melting. Also the flies are Australian in their persistence and annoyance. Bored, bored, bored, bored, bored. Sat in that terminal for five hours waiting for the next flight. There was no point taking a taxi into town (I’ve never really been to Bali) as it was raining and the traffic was too heavy. Finally it was time to board. There was the ride out to the plane on an airport bus. The door I was leaning against flew open as the bus turned. A quick death grip on one of the poles and a few choice adjectives helped in regaining the main cabin of the bus. The outside air was cooler than the terminal and the inside air of the aircraft was just wonderful. Finally arrived in Jakarta and headed out through the maelstrom of "private" taxi drivers to the peace of a White Horse taxi – there was a queue at the Silver Bird stand. We then zoom along the airport road until the toll gate and the Jakarta traffic slows us to a pace a bullock cart would be pleased to achieve. It takes about the same time from the airport to the hotel as it does from Bali to Jakarta. Finally the peace and tranquillity of the hotel. 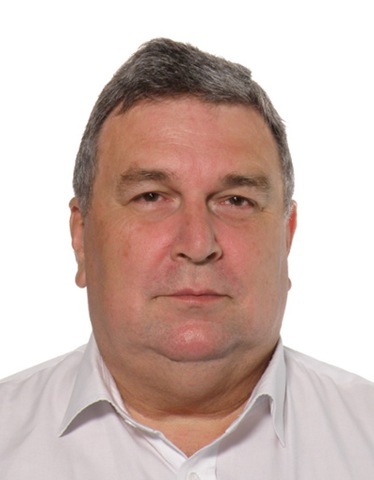 I’d been up for 19 hours getting from Ashfield to Jakarta and had 8 hours travelling by train the day before – just another normal day for Thomo. It was definitely time for a glass of Dr Feelgood. Oh, and lest you think it all gets better at the hotel – the last photo is the view from my window! 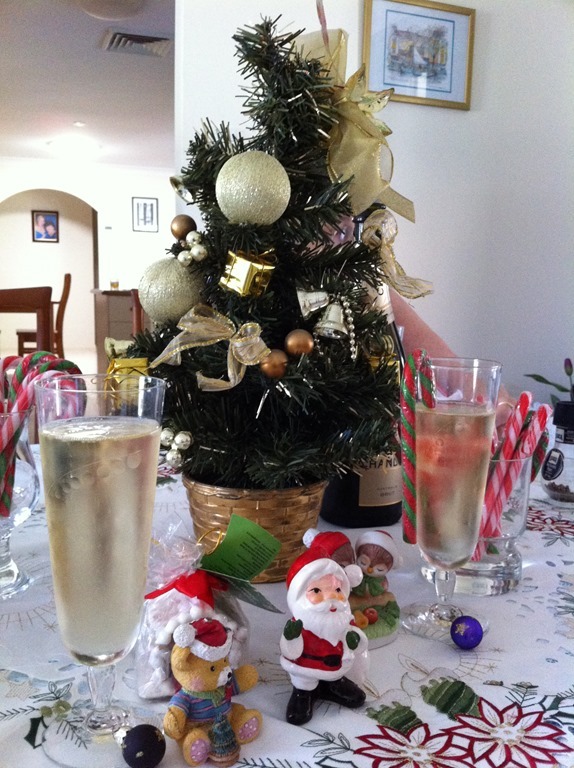 Christmas was spent with the lady, Mum, my sister and brother-in-law and niece in Brisbane. It’s been a couple of years since we had Christmas here. Mum had decided to accept my sister’s invitation for Christmas to be out of the house when we were bringing in boxes and such so caught the train and bus to Brisbane. We followed a couple of days later. It was great catching up with my sister and BIL as well as my niece. Next social function is off to Canberra for New Year’s Eve. As many of you will be aware, I shut down the Sydney home. I will be residing in Singapore full-time for the foreseeable future. This has meant that there is no need for the flat in Sydney any more and rather than continue to pay AU $400 per week for what is essentially storage only, we cancelled the rental. Well, the lady needed somewhere to live whilst studying and there is space under the house for storage so with a little assistance from number one son (thanks for the garage space Jeffro) we moved. What an experience that was. Over a Friday and a weekend we moved. I called two men with a truck for some rented muscle and hired a one tonne Toyota Hi-Ace. The men and truck were to move the furniture and the Hi-Ace was to move the books, clothes and other stuff we wanted to keep. What an experience! The hired muscle arrived in a grumpy mood – they’d been pulled over by the police on the way to the job. We loaded the furniture whilst the lady and I continued to pack boxes for the Hi-Ace. We delivered the furniture to Jeffro’s whilst the lady continued to pack boxes. We filled the Hi-Ace then drove the 476 kms to Mum’s. We slept, unpacked and drove the 476 kms back. We packed the rest again filling the Hi-Ace to the roof (well, with some extra stuff filling the back of the car). We drove the 476 kms to Mum’s, unpacked and then drove the 476 kms back to Sydney where we checked into a motel just around the corner from the old home. Up early on Monday morning to return the Hi-Ace to the renters whilst the lady cleaned the apartment. I worked that day which meant I needed to be in the city by my 10 am meeting so it was late in the day when the keys were returned and we officially bid farewell to the Sydney residence. The rest of the week in Sydney was spent in the motel (the Marco Polo at Summer Hill, cheap, great security and funnily enough, quieter than the flat was). Friday night came and so we squeezed into the front of the Falcon and drove the 476 kms to Macksville. After that it was 478 kms to Brisbane for Christmas (see separate post), then 478 kms back to Macksville. The last drive this trip will be a drive of 770kms to Canberra for the New Year, then 770 kms back to Macksville. Finally I will catch the bus to Sydney to catch my flight back to Singapore (that bue/train trip I am actually looking forward to). By the time I leave Oz for Singapore again I will have driven 4,876 kms at least (there was a couple of short trips for Boxing Day sales and pizzas and such that would have put the total over 5,000 kms). Let’s see my Pommie mates get their heads around those distances (driving the E30 in Europe, London to Moscow is only 2,887 km)! 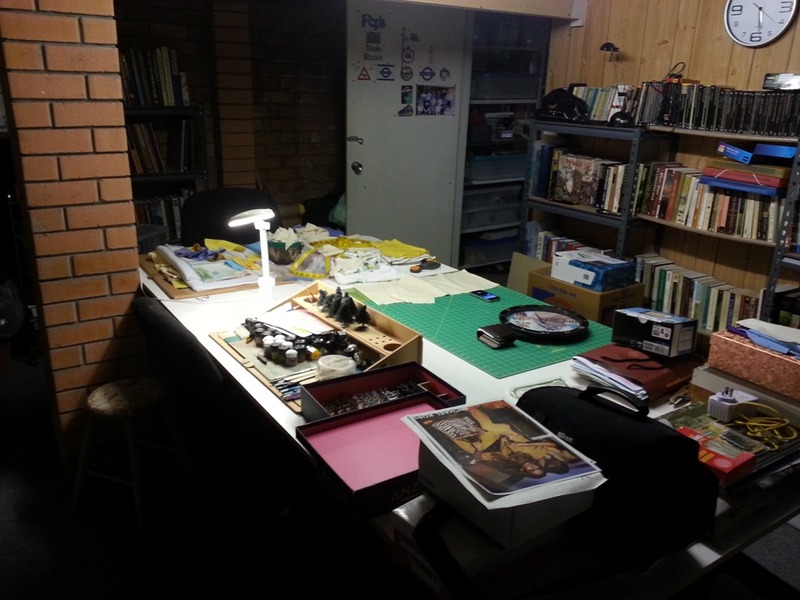 I do have a painting space in Oz still – in my father’s old train room. 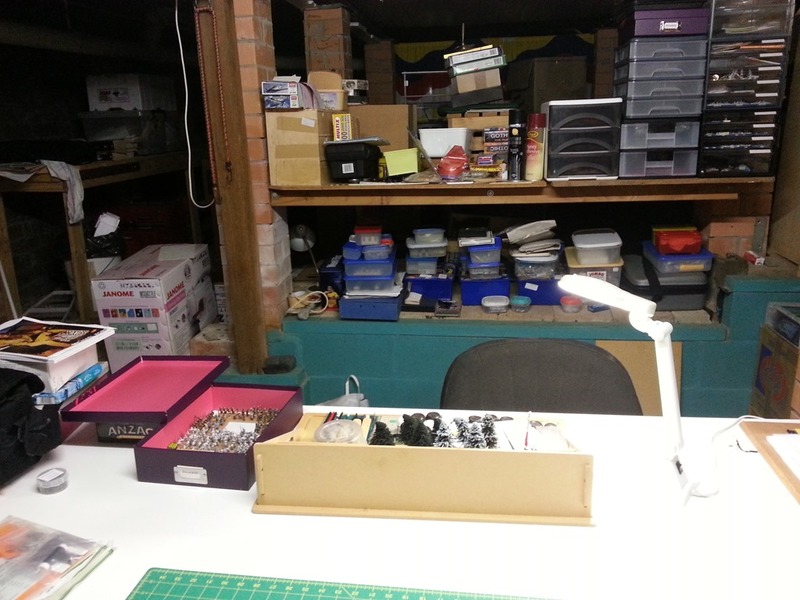 Once Dad left us the trains were sold off, mostly to his peer group of railroaders and so that area under the house houses my library and wargaming stuff that I have not taken to Singapore. Mum also uses it when cutting out for new quilts. The picture above is the view from behind the painting area. The picture to the left is the view the other way. Thomo has a new Oz Hole! 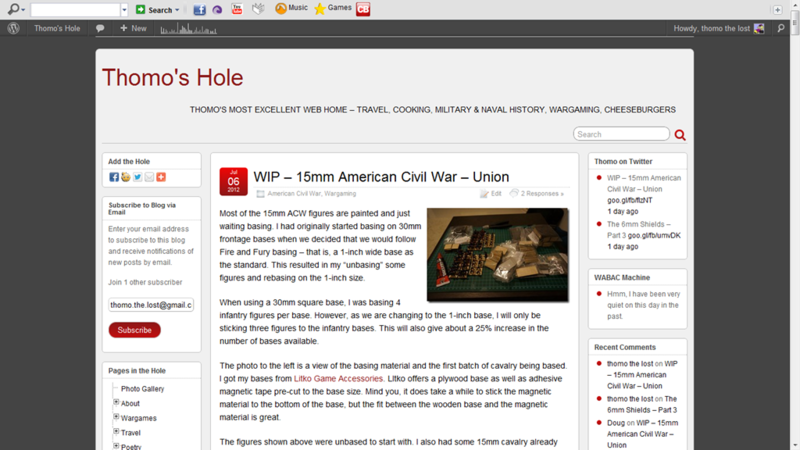 Thomo’s Hole has had a certain appearance for a few years now and as a result of the usual widget creep you find in blogs, it was starting to get slower and slower. I decided it was time to clean up the appearance and make it both a wee bit more elgant and a wee bit quicker. Being the lazy sod that I am, I went looking for a theme rather than write my own. I found the Suffusion theme by Sayontan Sinha and this is now the appearance for Thomo’s Hole. I will be tweaking a bit over the next few days, especially in the area of links etc., as there are way too many of them. As a result, you may see the some odd things happening from time to time. Nothing to worry about, wait about 5 seconds and try again and everything should be back to normal. Now, back to finishing the washing and then the 15mm ACW basing. Thomo’s Hole consistently gets around 130 to 200 hits per day and has done so for some time now (thanks folks). 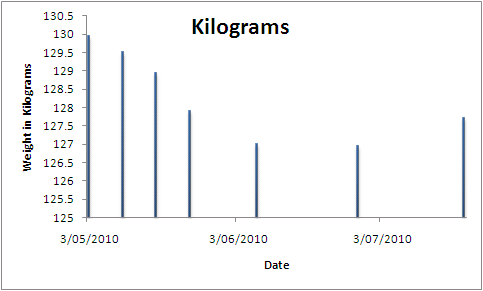 There was a sharp decline the other day however. 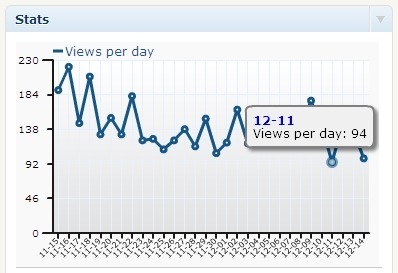 We dropped to 94 hits on 11 December 2010. This coincided with the Denial of Service attacks on Visa, Mastercard and Amazon amongst others. Thomo’s Hole is hosted on Amazon and I guess this explains the negative result for the day. Of course, the thing I can’t understand about the whole Wikileaks thing is that Wikileaks is not stealing these documents. All Wikileaks is doing is the same thing that the New York Times or the Sydney Morning Herald is doing and that is printing already leaked documents.